After a more casual outfit, here we are with a very pink and girlish one - as you know, I like to change style !. I have had this Betty Blue pink dress in my closet for quite a long time, not surely a dress to go to work with, but it's good enough for a cocktail in the wonderful Park of a very nice hotel !. This is the short story of a "bon ton" afternoon that went a bit...different than expected, you'll see by the end of the post !. Dopo un outfit più casual con i jeans, eccone uno più "da ragazza", molto rosa - come sapete, amo cambiare stile ! Ho questo abito rosa di Betty Blue da diverso tempo nel mio armadio, di sicuro non un abito con il quale andrei al lavoro ma adatto per un cocktail nel meraviglioso giardino di un bellissimo hotel !. Questa è la breve storia di un pomeriggio "bon ton" che è andato a finire...un po' diversamente dai programmi, leggerete alla fine di questo post !. You have already seen my coral Castaner shoes, surely among the comfiest pumps I have ever had in spite of being very high !. I matched this outfit with a small Gucci bag and also had a pink bracelet. 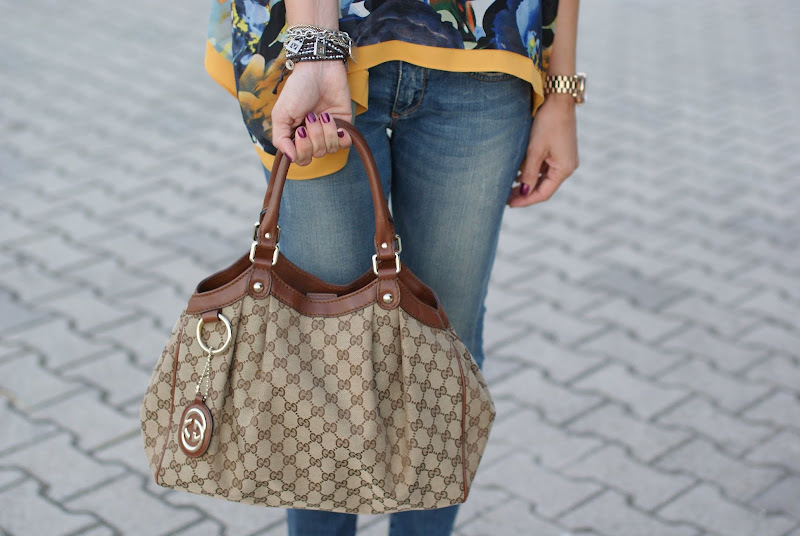 Below you can see some details of the arm candy and the bag !. Avete già visto le mie pumps di Castaner in color corallo, sicuramente un paio di scarpe tra le più comode che possiedo, nonostante l'altezza notevole !. Inoltre ho abbinato una tracolla di Gucci e aggiunto un bracciale rosa. Sotto potete vedere i dettagli dei bracciali e della borsa !. Yes ! 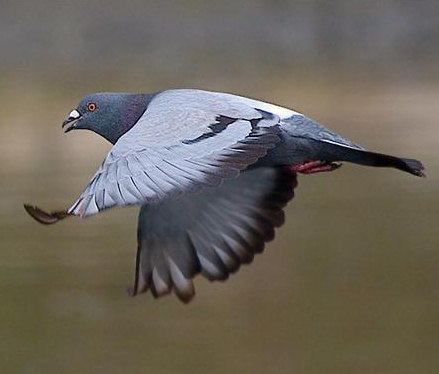 A pigeon pooped on my hubby's shoulder...I looked at him with wide eyes, in between being amused and horrified, then I noticed that part of the mess was also on my pink, girly, delicate dress ! And I was like "OMG ! I have to run and change myself, have a shower, burn the dress (!)" and whilst I was walking to the way home, I started laughing and thought "I must tell my readers absolutely, cause this is actually funny, LOL" :-). From that moment on, that pink dress has become "the lucky dress"...and what about you, have you ever experienced a "close encounter" with a pigeon ? If yes, how did you react ?. Ebbene sì ! Un piccione ha fatto i suoi bisogni sulla spalla della mia dolce metà, al che io l'ho guardato sorpresa, tra lo schifato e il divertito, notando solo dopo pochi secondi che parte di quello schifo era andato a finire sul mio abitino rosa, femminile e delicato ! Ho pensato subito "Oddio ! Devo correre a cambiarmi, farmi la doccia, bruciare il vestito se necessita (!)" ma mentre camminavo in fretta per tornare a casa, ho iniziato a ridere e ho pensato "devo raccontare l'episodio sul blog, perché è buffo" :-). Da quel momento in poi, l'abito rosa è diventato l'abito "fortunato"...e a voi è mai capitato un "incontro ravvicinato" con un piccione ? Se sì, come avete reagito ?. 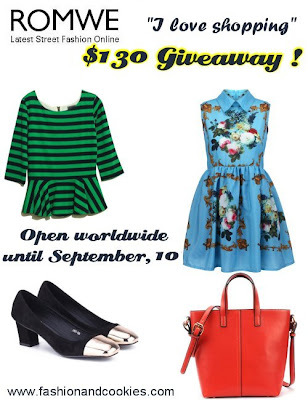 Reminder: Romwe "I love shopping" $130 Giveaway ! Let me remind you that to thanks to Romwe and Fashion and Cookies you can win a $130 gift card to buy whatever you want on Romwe.com !. This Giveaway is open worldwide, up until September 10th and you need to fill in the Rafflecopter form you can find clicking here ;-). We all like buying new things for Fall, don't we ?. Personally I think this is one of the times of the year when I like to shop the most...new arrivals, the weather changing...well, with this brand new Romwe Giveaway you can win a $130 gift card to buy ANYTHING you like by following the simple rules you find below and filling the Rafflecopter form, as ever !. The International Giveaway is starting now, open until September 10th, using Rafflecopter form you can find at the end of this post. The winner will be selected randomly with Rafflecopter, announced on the blog and the name will be given to Romwe. Good luck everyone :). Aren't we all happier when we wear new things for the first time ? In these pics I am wearing three new items: a floral oversized blouse sent me from Sugarlips, an online webshop I suggest you to check out because they have pretty nice items, a new pair of Jeffrey Campbell pumps I bought a couple of weeks ago and new sunglasses arrived from Firmoo !. Non siamo tutti più felici quando indossiamo qualcosa di nuovo per la prima volta ? In queste foto indosso ben tre cose nuove: una blusa oversize a stampa floreale inviatami da Sugarlips, una boutique online che vi suggerisco di tenere d'occhio perché ha cose carinissime, un nuovo paio di pumps di Jeffrey Campbell comprate un paio di settimane fa e anche nuovi occhiali da sole di Firmoo !. I love me some denim with high heeled pumps and this top is something different from the usual t-shirt, I like the shape and also the colors. As for the sunglasses, I was surprised by their quality and how comfortable they feel, I love them and I got them for free !. You can have them too !. Firmoo is the world's most popular online eyeglasses store. Vision and Fashion the Frugal Way is the ultimate goal of Firmoo, so it has always committed itself to providing customers with high-quality and fashionable eyewear at the most affordable prices. Firmoo launched a program offering free eyewear to first-time buyers in order to make more people try Firmoo’s quality products & excellent service. Plus, it’s easy to get your free eyewear, and the delivery is pretty fast! Want to have a try? Just go to here to get your FREE pair!. Mi sono sempre piaciuti i jeans con le pumps a tacco alto e questo top è qualcosa di diverso dalla solita t-shirt, mi piace la forma e anche i colori. Per quanto riguarda gli occhiali da sole, sono rimasta sorpresa dalla qualità e dal comfort, molto più alti delle aspettative, li adoro e pensare che li ho avuti gratis ! Potete averli anche voi !. Firmoo è il negozio di occhiali online più popolare del mondo. Il loro motto è "Vista e Moda in economia", pertanto il loro scopo è fornire ai clienti occhiali trendy e di qualità ai prezzi più convenienti. Firmoo ha lanciato un programma che offre occhiali gratis a chi compra per la prima volta per far provare al maggior numero di persone possibile la qualità dei prodotti ed il servizio eccellente. Inoltre, ricevere il vostro paio gratuito è facile e la spedizione è davvero veloce ! Volete provare ? 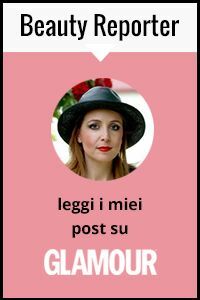 Andate su questa pagina per avere il vostro paio di occhiali GRATIS !. In these pics I am also wearing something new that is make up related ! I have finally bought my first BB cream, the Doré one from Erborian and I like it so far...it's not sticky, it blends very easily and it feels like having nothing on the skin !. The lipstick is new as well, I actually went to Sephora to buy a lipstick from Estée Lauder that melted in my purse and got so disappointed because that color got discontinued. To cheer myself up, I bought the Lancome "Rouge in Love - Rose Boudoir" lipstick that I am also wearing in these pics. Not bad at all, but I still miss my broken lipstick, gone forever ! I am sure most of you know the feeling !. In queste foto indosso anche qualcosa di nuovo per quanto riguarda il make up ! Infatti ho finalmente comprato la mia prima BB cream, quella di Erborian, precisamente la versione Doré e devo dire che mi sto trovando benissimo...non è appiccicosa, si sfuma con facilità e la sensazione è di non avere niente sulla pelle !. Anche il rossetto è nuovo, ero tornata da Sephora per ricomprare un rossetto di Estée Lauder che si era sciolto in borsa e sono rimasta delusa perché hanno cambiato numerazione e formula e il colore che amavo non è più in produzione. Per consolarmi, mi sono "lanciata" su un altro rossetto, scegliendo quello di Lancome "Rouge in Love - Rose Boudoir" che vedete in queste foto. Non male, ma mi manca ancora il mio rossetto ormai andato per sempre ! Sono certa che molte di voi conosceranno la sensazione !. Here below you can see a little set I prepared for this look and also details of bag, arm candy and nails painted with OPI "Diva of Geneva" nail polish. Nell'immagine sottostante potete vedere un piccolo set che ho preparato per questo look e anche dettagli della borsa, dei bracciali e le unghie con lo smalto OPI "Diva of Geneva". 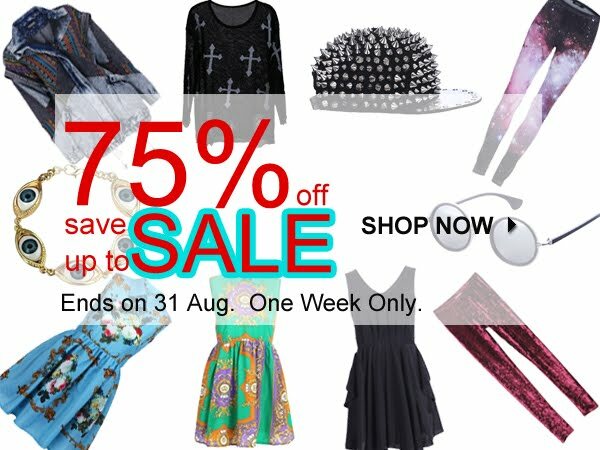 The end of August means summer clearance for many of us...well, this is a quick post to let you know about Romwe having a huge sale - we all love sales and bargains, don't we ? This one is really convenient and is up NOW, the Summer clearance will go on only until 31st August so if you wanna take advantage of it, you'll better hurry up !. They offer many discounts, ranging from 5% up to 60%. Moreover, there will be a 15% extra discount if the final payment reaches $70, the code is: clearance15%, so the most discount can reach 75%!!! Isn't it interesting ?. To help with the shopping, here's a link to the page with Romwe best-sellers, most of them are at 5% discount prices (The discount will expire on 31 Aug.). Click here to visit Romwe bestsellers page !. Stay tuned cause another post is coming shortly with more surprises from Romwe !. The maxi dress has become a must-have piece in your wardrobe because it’s perfectly suited to every occasion and every body shape. Whether your dress has straps or is strapless there are many ways you can wear it and understanding these different styles will help you maximise the appeal of your maxi! Dresses are made to impress and you will certainly impress a few people when you wear a maxi. Strapless maxi dresses are suitable for everyone but more so for those who are lucky enough to be petite. By choosing a well cut style and by choosing a dress that is snug and tight you can show off your figure perfectly. Choosing floral prints or light neutral colours can elongate your body and make you look taller whilst embracing the current fashion trends. 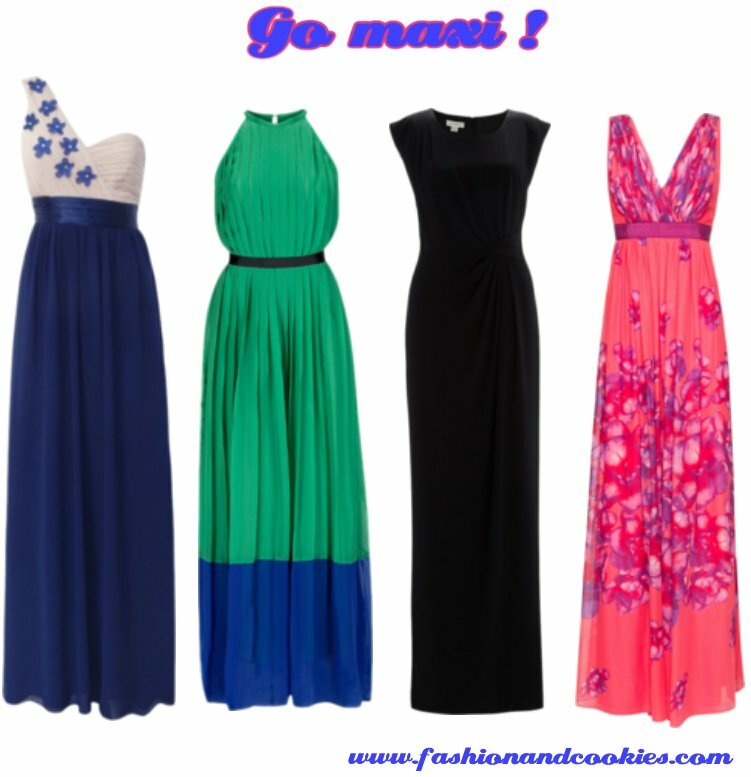 You will never be short of attention when you are wearing a maxi dress. The hem line flowing just about your feet and the back of the dress floating behind you as you glide across a room will make you feel like a million dollars. After all, everyone deserves to look and feel their best and maxi dresses are the perfect way for you to achieve this. For women who have larger frames, the maxi dress with straps is perfect. If you decide to go for a wider strap then you can emphasise your narrow shoulders and upper body- perfect for long nights by the beach when on holiday. I love my maxi dresses, comfy and perfect for Summer ! No dress is complete until you have added a few accessories to it. Although the dress itself will be stunning you want to add that extra touch and how you do this will affect the overall appearance of your outfit. First things first, if the dress is too big around your waist then grab a belt. By putting the belt either in the smallest part of your waist or just below your bust line you can accentuate your best assets and make yourself appear taller and slimmer whilst achieving the chic and sophisticated look of a fashionista. In terms of shoes, flat flip flops are perfect for those after a casual look whilst heels are ideal for those planning to wear their maxi on a night out. 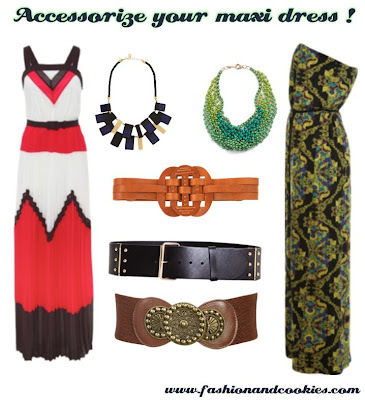 Jewellery can be as bold or as subtle as you like but remember to match it with the style of maxi you are wearing. Those with bold patterns should go for simple, plainer jewellery whilst those wearing a plain dress should look for statement pieces. What happens when a trendy thing is not that trendy anymore ? What do you do about it ? Usually I keep my clothes stored somewhere, hoping that one day soon they'll come in handy again. I was thinking that I am gonna have to store loads of asymmetrical clothes, skirts and tops, because they have been so popular this year that I doubt they will be next summer. In spite of my mint green asymmetrical clothes I bought with so much enthusiasm, I haven't gotten tired yet of something black and simple like the dress you see in the pics. Cosa accade quando un capo di moda non lo è più ? Voi cosa ne fate ? Di solito io conservo i miei abiti, sperando che un giorno tornino ancora utili. Stavo pensando che dovrò conservare diversi abiti dal taglio asimmetrico, gonne, vestiti e anche top, che sono stati così popolari quest'anno e dubito lo possano essere la prossima estate. Al contrario degli abiti asimmetrici verde menta che ho comprato con tanto entusiasmo, qualcosa di nero e semplice come il vestito che vedete in foto non mi ha ancora stancata. I didn't accessorize much this simple long dress from Zara, my Cesare Paciotti statement" sandals were enough !. I added a tiny necklace with a tiny diamond and this comfy Gucci tote I bought when I went to New York. This is not the classic little black dress but it can be a nice change, for a day !. Non ho aggiunto molti accessori a questo semplice abito lungo di Zara, i sandali di Paciotti erano già abbastanza ! Ho aggiunto un piccolo girocollo in oro bianco con diamantino e adoperato la tote di Gucci che avevo preso a New York. Non è il classico little black dress ma può essere una valida alternativa, per una sera !. I have just gotten back from a mini holiday of a couple of days, I needed it to take a break from all the work in the flat dued to remodeling. I took the chance to do some shopping and relax a bit, shame one of my wisdom teeth decided to show up with a really bad timing ! Now I am feeling so much pain and I think I will have to go to the dentist very soon, one of my pet peeves !. Sono appena tornata da una mini vacanza di un paio di giorni, ne avevo bisogno per fare una pausa dai lavori in casa dovuti al "remodeling" di cui vi avevo parlato. Ho anche fatto un po' di shopping e mi sono rilassata, sebbene uno dei miei denti del giudizio ha deciso di spuntare con un tempismo veramente pessimo ! Ora sento parecchio dolore e credo che dovrò correre presto dal dentista, una delle mie paure più grandi !.